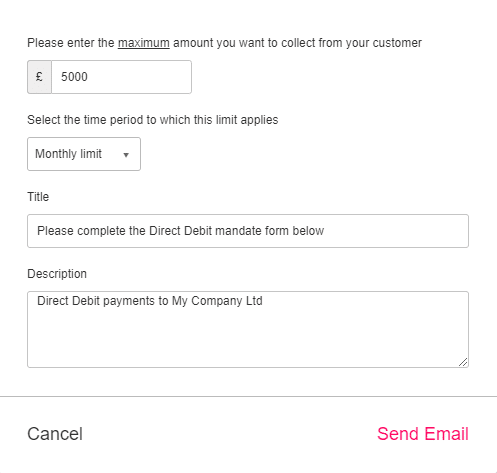 A direct debit mandate request is something you send to your customers for them to authorise you to collect a set maximum amount from their bank account on request. This will be an email with a link that contains a form the customer can fill in to enter their bank details in. 2. Enter in the maximum amount that you want to be able to debit from the customer. You can also enter in a title and description for the mandate that you can send the customer, i.e. Direct Debit Mandate Authorization – We would like to set up a direct debit mandate for you. 3. Click the Send EMail button and your customer will receive an email containing a link to setup the direct debit mandate. 4. From here they simply enter in their bank details. 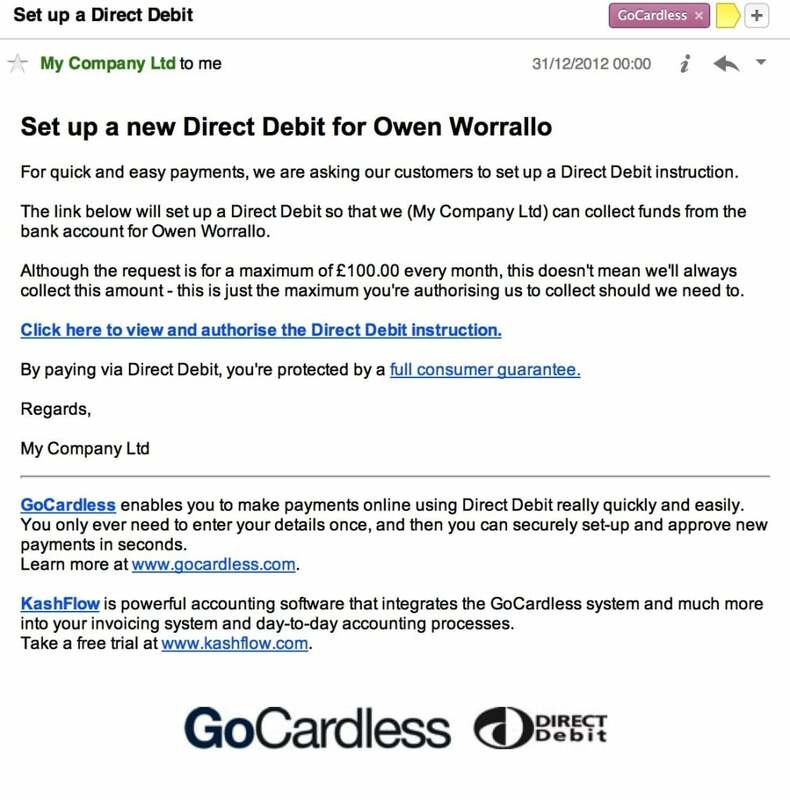 You will receive an email from GoCardless when this is complete. 5. You can now debit the customer’s account on demand! When the customers sets up the mandate, the “Other” info tab will show that a mandate is set up and will show the maximum amount.